Thomas Hampson, Andrea Molino and the MSO also perform this concert in Geelong on Friday 8 June at Costa Hall. The MSO is delighted to present Thomas Hampson, one of the most renowned baritones of our time, in his Australian orchestral debut. There is no shortage of praise for Hampson’s artistry: his performances have been described as ‘supreme’ and ‘impeccable’; his voice, a ‘truly incredible instrument’. A protege of Leonard Bernstein, who recognised his extraordinary talent over four decades ago, Hampson has a huge operatic repertoire and a discography of over 170 albums. He has an international reputation for his mastery as an interpreter and performer of everything from lieder to chanson, opera to American Art Song (of which he is a passionate advocate). 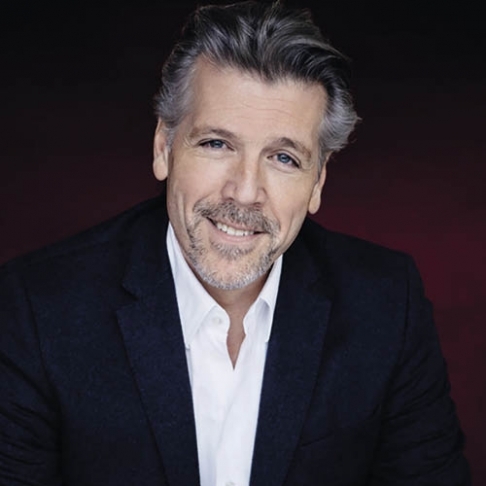 A truly spine-tingling evening awaits when Thomas Hampson delivers his rendition of Mahler’s Lieder eines fahrenden Gesellen and the Orchestra, conducted by Andrea Molino, perform Mahler’s Totenfeier, Messiaen’s sublime Le Tombeau resplendissant and Richard Strauss’ uplifting Tod und Verklärung. Join us for a pre-concert conversation inside Hamer Hall from 6.15pm. Melbourne Recital Centre presents Thomas Hampson in solo recital as part of their Great Performers 2018 series.